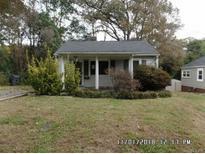 Find Dallas, NC Foreclosures for sale. View Photos, Maps and MLS Data Now! **MULTIPLE OFFERS received 3/4/2019 -HIGHEST & BEST Offers must be submitted by 3/6/2019 11:59:00 PM Mountain Standard Time and we will make a decision by 3/7 (Thursday). MLS#3476161. Century 21 Murphy & Rudolph. Large wired workshop on the back with concrete floors. MLS#3470052. Showcase Realty LLC. Hardwood floors in living room. Outbuilding. MLS#3453753. Carolina State Realty. Large master bedroom with private bathroom and walk in closet. MLS#3372696. Moss Realty. These statistics are updated daily from the Carolina Multiple Listing Services, Inc. For further analysis or to obtain statistics not shown below please call Highgarden Real Estate at 704-966-7838 and speak with one of our real estate consultants.